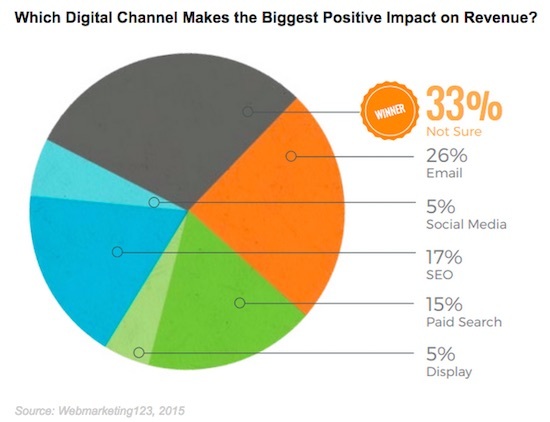 With so many digital channels, it’s really hard to identify which one has the biggest impact on revenue. In fact, approximately one-third of marketers are unsure of which digital tactics are the most effective. A year ago, email marketing was ranked as the best channel in terms of return on investment, with 68% of companies rating the channel as “good” or “excellent.” Revenue from email had increased proportionately by 28% in one year. But the success of the channel could depend on whether you are a B2B or B2C marketer. 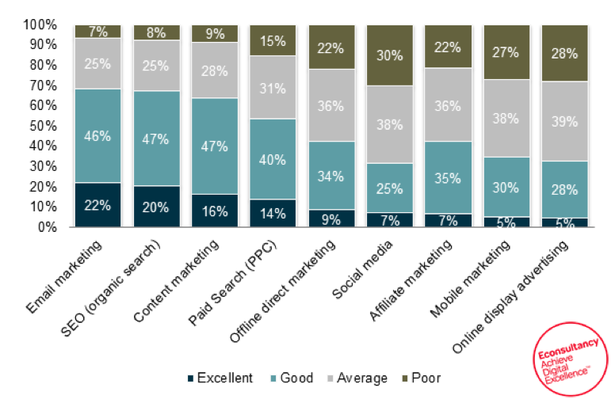 According to a recent study from Webmarketing123, Email marketing remains the most effective digital tactic overall. 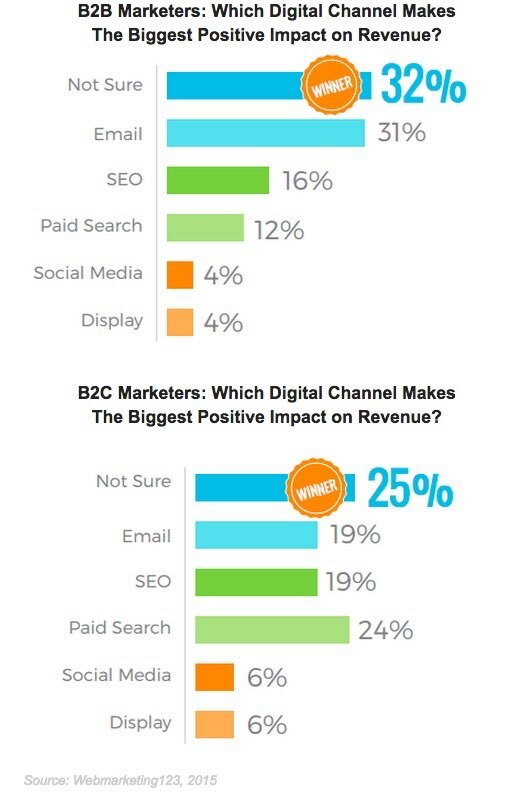 However, B2C marketers found that paid search was the most effective digital tactic, with 24% saying it has the biggest impact on revenue whereas B2B marketers from that email was most effective. When it comes to social media channels, B2B marketers have found the greatest success with LinkedIn. Although a large percentage still do not know if they generate revenue at all from social media. For B2C marketers 56% say that Facebook has generated the most the most revenue. With that said, email is one of the easiest digital channels to measure in terms of revenue generation and ROI. Measuring the revenue from social media marketing is more challenging since it involves intangibles such as engagement, audience reach, and “buzz.” But using tools such as Google Analytics Campaign Tracking can help bridge the gap.